This page includes any information related to or from the Cadillac V-Club Regions and Chapters including events and activities. All news that is of interest to the entire club will be posted on the "common" News page. Any V-Club member has access authority to post news on this page. Effective, immediately Dan De Pew will assume the role of Chapter Director for the Austin Chapter. Dan has been a member of the Cadillac V-Club Austin Chapter since 2015 and is also the Shop Foreman for Covert Cadillac. 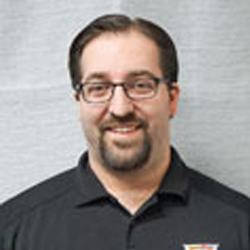 Dan owns a 2013 Cadillac CTS-V Sedan and has been active in the V-Club attending meet 'n greet events, Cadillac V-Corrals and a V-Performance Lab at COTA. We are excited to have Dan join the leadership team. We also want to take this opportunity to thank Beverly Feaster for serving as the Austin Chapter Director during the past year and for her continued support of the V-Club. Since graduating from nursing school early in 2018 and beginning her career as a Registered Nurse, Beverly's availability has been very limited and therefore recently requested that she serve in more of an assistant "supporting role". In addition, Michael McGee who is an Austin Chapter V-Club member has volunteered to assist Dan and Beverly therefore the V-Club will now have a strong core group of members sharing the leadership role and committed to the success of the Austin Chapter. With Dan's leadership, and the support of Mike and Beverly, the Austin Chapter will no doubt continue to grow, especially with the sponsorship and support of Covert Cadillac. Watch the event calendar for an upcoming Austin V-Club Chapter event which will be posted soon. The Board of Directors met Thursday evening, September 6 and selected Jason Mathews as the new Chapter Director for Houston. Jason has been a member of the V-Club since 2014 and owns a 2012 OBM CTS-V Coupe. He has been very active in the V-Club attending numerous meet 'n greet events, Cadillac V-Corrals, V-Performance Labs and competitive events such as the Texas Mile. We are excited to have Jason join the leadership team. We also want to take this opportunity to thank Larry Reed for serving as the Chapter Director for Houston and for his continued support of the V-Club. Unfortunately, due to a new work assignment in Alaska, Larry resigned from his leadership role but plans to remain an active member as his travel schedule permits him to do so. Watch the event calendar for an upcoming Houston Chapter event later this month. Cadillac V-Club members may now purchase apparel and accessories via the CadillacCollection.com website and receive a minimum of 15% discount off every product in the online catalog. In order to receive this discount members must first login to the CadillacVClub.com website and then under the Members Only menu select the Cadillac Collection menu option to complete the login and authentication process. If you would like to purchase Cadillac V-Club branded caps, apparel and accessories, CadillacCollection.com is where you will shop and place your orders. Rick Knetsch of Kilgore, Texas recently accepted the position as Director of the East Texas (ETX) Chapter. Rick previously served as the Director of the San Antonio Chapter and with his move in the fall of last year to East Texas is now looking forward to leading our newest Chapter. The V-Club currently has 5 members in East Texas and Rick will be scheduling events in the near future. Rick drives an awesome "one of a kind" 2009 CTS-V Sedan and he and his wife Angela have been a member of the V-Club for 4 years. 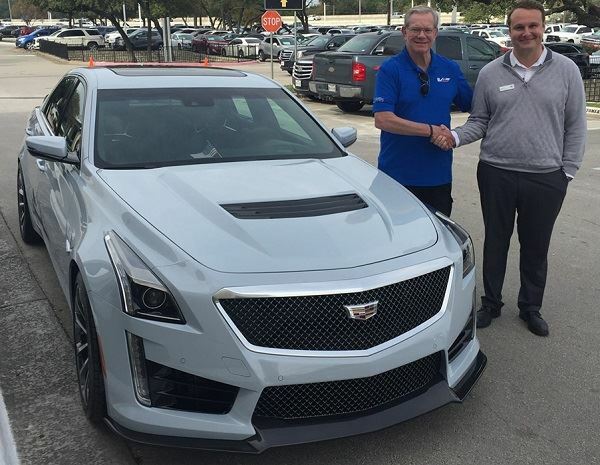 Here's a snapshot of Rick's V.
Congratulations to Chuck McCormick who recently purchased a new 2018 Limited Edition Glacier White CTS-V on 11/07/2017 from Covert Cadillac, our V-Club sponsor in Austin. Chuck's V is #108 of only 115 made by Cadillac. The Sales Rep was Jeff Perantoni, who Chuck characterized as "a dynamite sales pro and an overall great guy". Chuck stated that everyone at Covert made the whole process a total pleasure and he is excited to have the pleasure of owning the first one sold in Austin! Covert was allocated 2 Limited Edition models and the the 2nd sold in December. 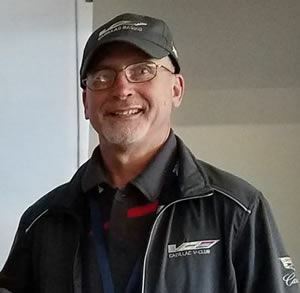 Since Cadillac has continued to include the complimentary trip to the Cadillac V-Performance Academy in Pahrump, Nevada, Chuck will be scheduling his trip soon! Chuck recommends that any V-Club member in Austin who is interested in checking out the new 2018 V’s ask for Jeff Perantoni. Jeff is extremely knowledgeable about the V-Series models! Chuck also mentioned that If you need service, the Cadillac V specialist to contact is Adam Deleon. Adam has been Chuck's service rep since he purchased his first CTS-V in 2012 and has always provided exceptional service and support. NOTE: Derek's name was randomly selected via random.org from a list of names of every member who RSVP'd and attended one of the 3 banquets. The DFW Chapter of the Cadillac V-Club once again held it's annual holiday banquet at Boi 'Na Braza in Grapevine, Texas on Sunday evening, December 10. The room was packed with over 90 attendees and the meal was once again fantastic... "all you can eat carved meet of your choice", huge salad bar and fantastic desserts capped off the dinner menu. After a round of trivia questions where the member with the successful answer received a prize, a drawing was held to determine the winner of the ticket package for two to any IMSA V-Corral event in 2018. Misty Young was the lucky winner and her plan is to attend the upcoming Rolex 24-hour IMSA race in Daytona where the Action Express and Taylor Racing teams will be competing for Cadillac. All V-Club members who attended this holiday banquet along with the upcoming holiday banquet attendees in Houston, Austin and San Antonio will be entered in a random drawing to be held on Monday evening, December 18 at 7:00PM for a fully paid tuition trip (including meals and lodging) to attend the two day Cadillac V-Series Academy in Pahrump, Nevada. Airfare not included. Value of trip is $3,100.00. Each eligible entry will be assigned a number from 1 to X where X is the total number entries. The winner of the V-Performance Academy trip will be randomly selected via a "live feed" from our Cadillac V-Club Facebook page using an online random number generator.